Yes, Valentine’s Day has snuck up on us once again. If you’re like most people, you haven’t bought that special someone the one gift that shows them how much you really care about them every day of the year. Have no fear, we are here to save the day with union-made products. 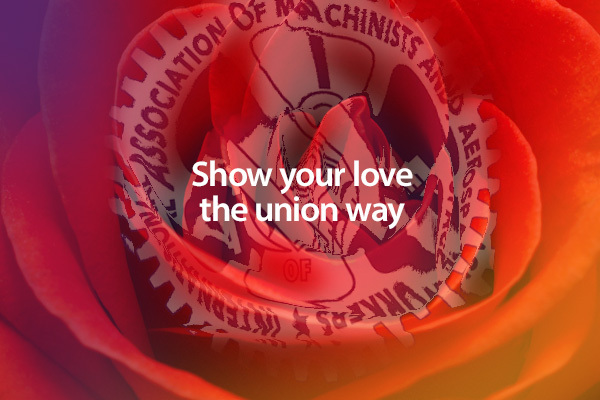 The Activate L!ve crew highlights a few options in this video, including downloadable Valentine’s Day cards from Build-Buy-USA. Union Plus provides you with a list of union-made candies. Union members receive a 20 percent discount on all Teleflora flowers and GiftTree gift baskets when they browse arrangements and order online at UnionPlus.org/Flowers or call 1-888-667-7779. Lastly, what better way to show appreciation to your significant other than to cook them a fresh Maine lobster dinner right in your own home. Lobster 207 will deliver fresh, live, Maine lobster overnight, right to your door. The lobster is union from the ocean floor to your door.